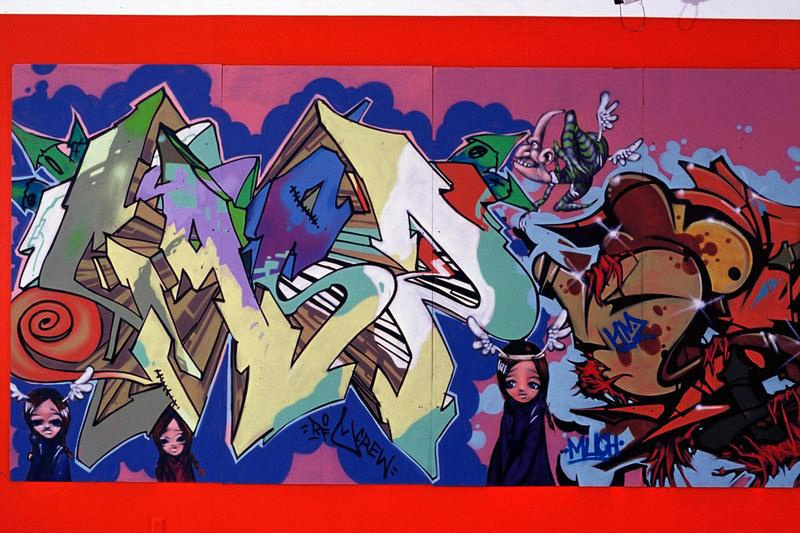 Each year at the Aotearoa Hip Hop Summit, Disruptiv, a collective of graf writers, hold an out-door graf demonstration. This mural was one of five created during the 2002 summit. The mural was exhibited as part of The Dowse’s exhibition Respect: Hip Hop Aotearoa in 2003.